Pierre co-founded in 2008 Forward Business Ventures FBV, a private investment group with assets in innovative e-commerce and Fintech businesses, and acts as Principal, sourcing investment opportunities. Pierre has been actively involved in the Fintech ecosystem and found his true calling investing in and working with early stage internet startups. In 2015 he left the traditional corporate assignments to pursue a wider portfolio career and focus more time at FBV to advise & mentor a selection of businesses on growth acceleration & geographical expansion. Prior to this, Pierre spent 7 years in pre-, during or post- PE/VC-backed internet and technology-based SME or Start-Ups needing a growth acceleration or turnaround programme. Pierre’s initial 18-year career includes a series of senior roles at American Express, Barclays Bank and MarshMcLennan. 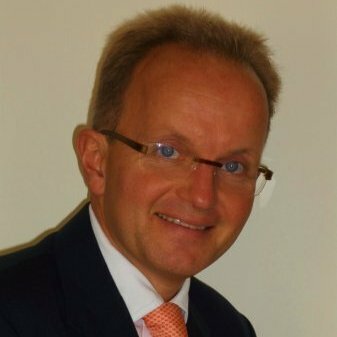 Pierre offers effective leadership, rapid results with a successful track record in driving business expansion, accelerating revenue growth and launching disruptive B2B & B2C, digital, SaaS & e-Commerce payment solutions; Pierre is fully versed in managing business portfolios of £25m to £140m revenues with 35 to 300+ FTE’s and has 15 years Board experience / FCA-approved person in small /large, matrixed/vertically managed UK, US and French firms.